Fulton County Sheriff Roy Miller scans the area before checking a door at Wauseon High School during a mock active shooter event held on Tuesday. Wauseon High School students evacuate the building with their hands held up to identify them as students. 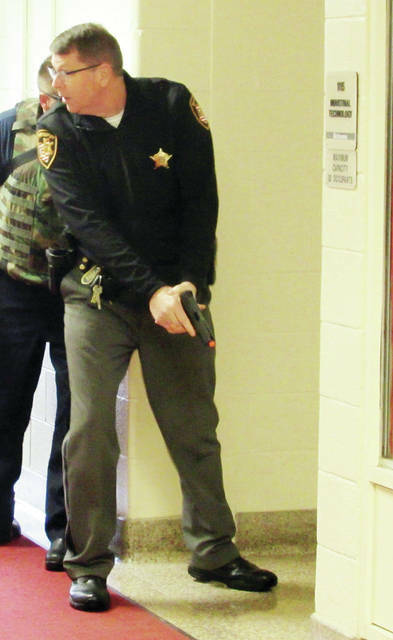 A Wauseon EMT helps a “shooting victim” escape the school building while Sheriff Roy Miller provides back-up. A “victim” of the mass casualty shooting is transported to the Fulton County Health Center. Just after 9 a.m. Tuesday, Wauseon High School Principal Keith Leatherman notified staff and students that an active shooter was roaming the hallways. Throughout the building doors were locked and barricaded from behind by teachers, students, and staff. Within minutes, members of local law enforcement were creeping stealthily along the corridors, guns drawn. In a practiced, tightly coordinated effort, some officers working as teams checked for unlocked doors and searched for the perpetrator. Students who could be were quickly ushered from the building, their hands raised to identify themselves to police and sheriff personnel waiting outside. Of the 13 student victims located, those who were immobile were hustled to safety by emergency medical crews, while others walked out with protection. All were transported to the Fulton County Health Center amid nearby streets and roads that were blocked off by officials. Eventually, the shooter was identified by officers, surrendered, and was whisked away. The atmosphere was palpably tense and grim, as if the scenario were actually taking place. 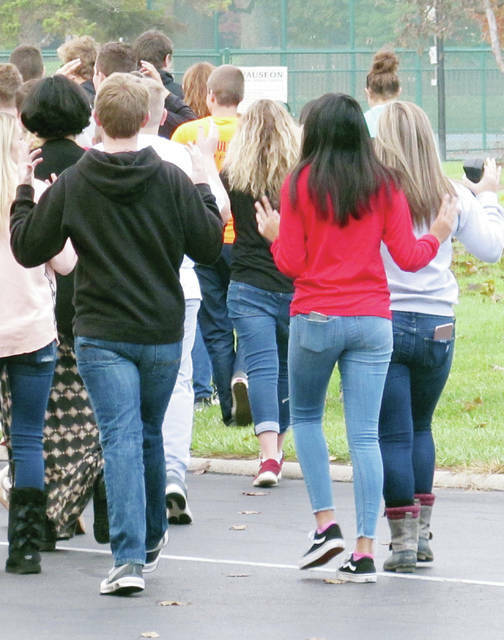 But Tuesday’s lockdown of the high school was just a practice session, played out to ensure that the participants – Wauseon schools, the Fulton County Sheriff’s Office, the Wauseon, Delta, and Archbold police departments, the Wauseon Fire Department, and the Fulton County Health Center – would be ready in the case of a real occurrence. The first of its kind held in Fulton County, Tuesday’s mock mass casualty shooting was planned since last spring by a leadership team. Participating resources included the Fulton County Emergency Management Agency, the Fulton County Health Department, the ADAMhs Board, A Renewed Mind, Maumee Valley Guidance Center, the City of Wauseon Public Works Department, Victim’s Advocate, and the Center for Child and Family Advocacy. County Sheriff Roy Miller said it was an opportunity to coordinate the duties and responsibilities of all local response teams for just such an emergency. He said the entities held countless meetings throughout the year to assure their movements would be synchronized. Miller said the practice went smoothly, but acknowledged some glitches may have occurred. Miller said he would like to see other school districts in the county hold similar training. Although a few areas of the exercise need improvement, the practice generally went well, Wauseon Police Chief Keith Torbet said. He said the few problems that may have arisen reflect what can actually occur. Torbet said all the entities involved participated in a debriefing after the practice. He said now it’s time to discuss which areas of performance can be improved. 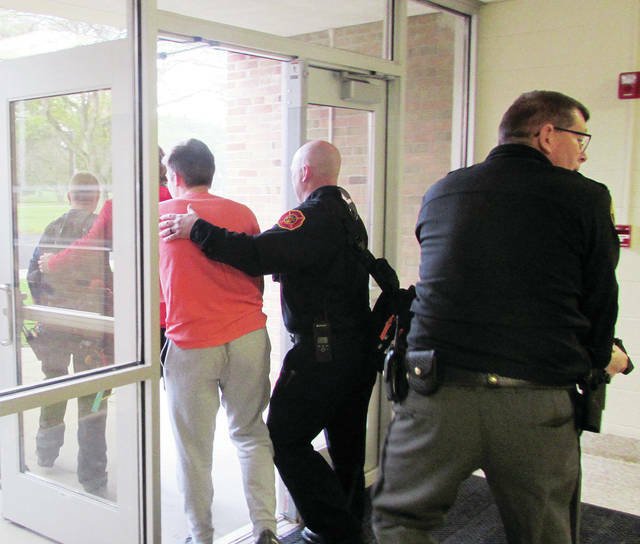 Although Wauseon police have trained in the past for this scenario, Tuesday was the first time they did so with students occupying the school. “For us, it’s a little more surreal when you’re pulling out actual students, even in a mock situation,” Torbet said. 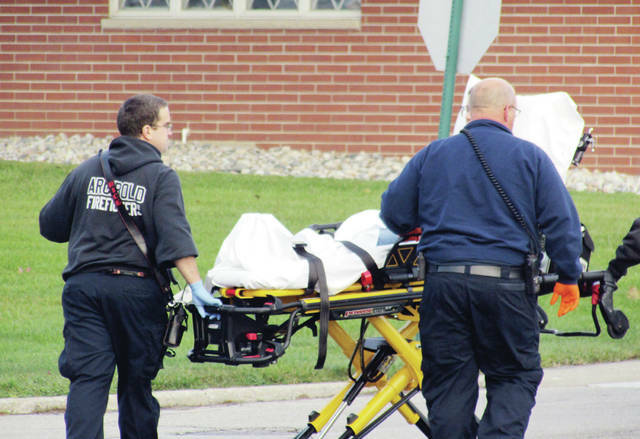 Wauseon High School Principal Keith Leatherman said the idea for the mock shooting was planted by the Fulton County Health Center, which wanted to test the efficiency of its emergency room in the event of a mass influx of patients. But he said without the hospital’s request the school district would likely have still held a practice. “Maybe not to quite this magnitude…but what we’re doing at the high school is very similar to some of the drills that we’re mandated to have in terms of how we would respond and how we would act if there was an active shooter or intruder in the building,” he said. Leatherman said students have already been trained in evacuation procedures, and in ALICE (Alert, Lockdown, Inform, Counter, Evacuate) program training that prepares for the possibility of an intruder or shooter in the school. He said some area law enforcement and rescue personnel trained at the school building over the past few weeks. “Today’s exercise is sort of the culminating event, but the real neat thing has been the process of how we’ve gotten to today. And that’s where, I think, we’ve learned probably the most,” he said. In a prepared statement, Wauseon schools superintendent Larry Brown said the district understands the need to continue evaluating how it can improve readiness at both the individual building and district levels. Leatherman said it’s unfortunate that violence in society has escalated to include school shootings. “You want to think and hope and pray that this would never happen, but we have to be prepared, because we’re obviously not immune to it because we’re in northwest Ohio and Wauseon,” he said.